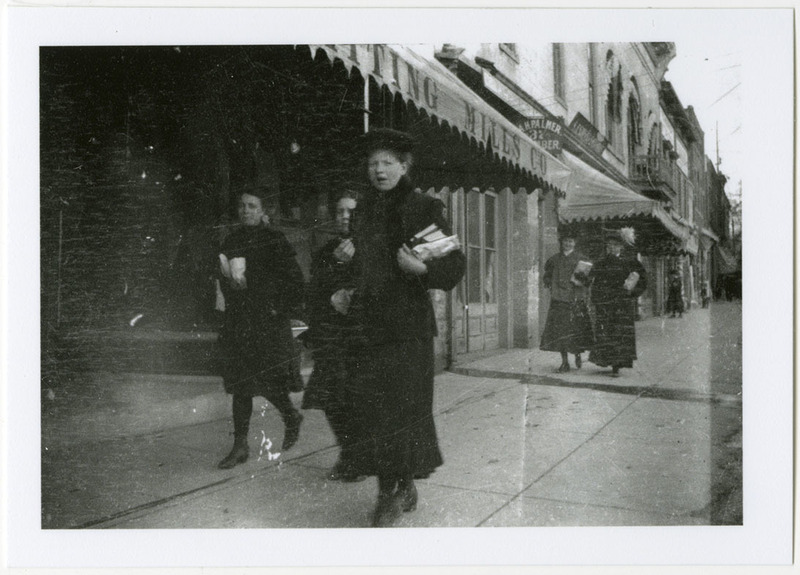 Young women walking, books in hand, on Main Street in Logan, Utah. View of Knitting Mills Co and A.H. Palmer and Sons Plumber. About 186 North Main. “Young women on Logan, Utah's Main Street in Logan,” USU Digital Exhibits, accessed April 20, 2019, http://exhibits.lib.usu.edu/items/show/19723.